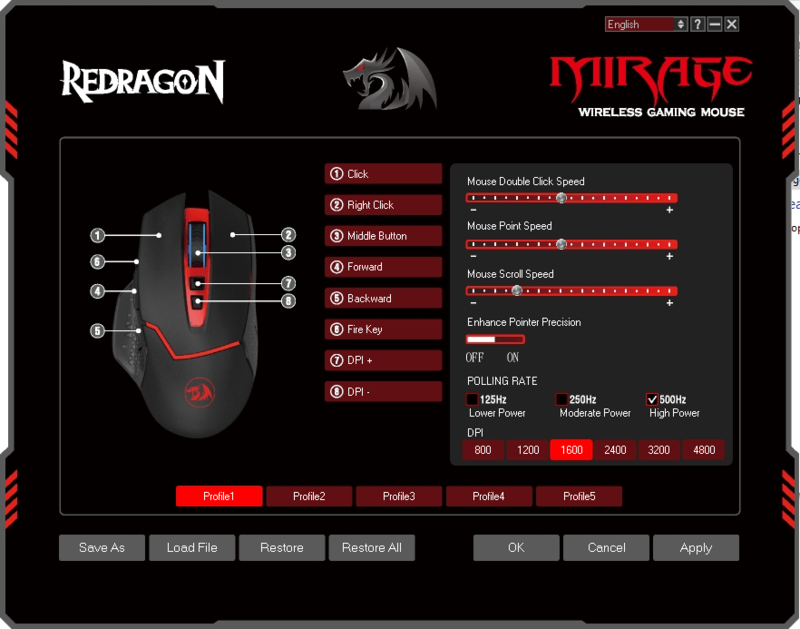 After reviewing the Redragon K558 ANALA RGB Mechanical Gaming Keyboard, I was interested in trying out the Redragon Mirage M690 Wireless Gaming Mouse. While a budget mouse, it doesn’t skimp on performance or features. 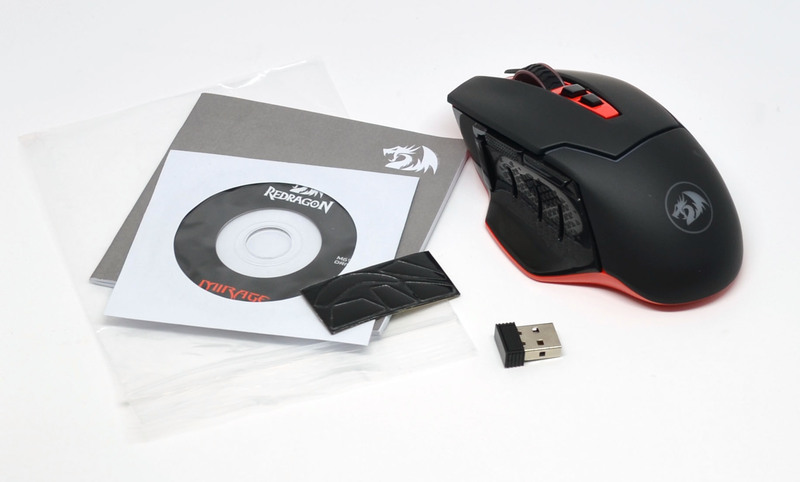 In the package you get the mouse itself, USB nano receiver, manual, small driver CD, and an extra set of bottom sliders if for some reason the ones already on the mouse wear out. 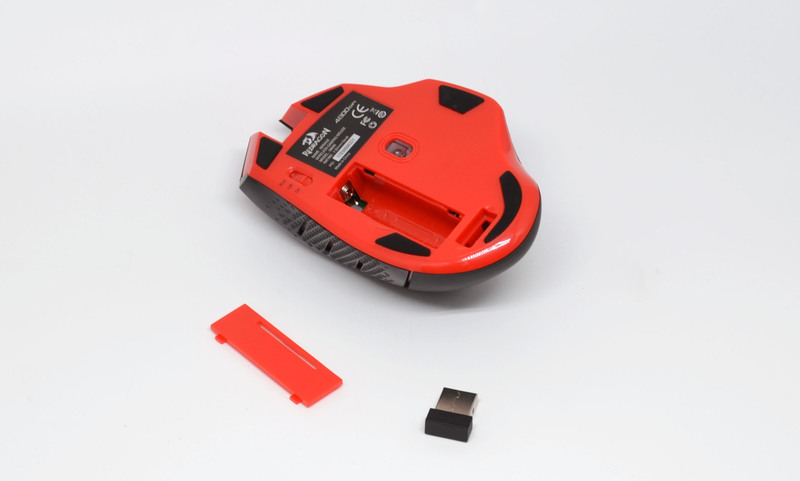 On the underside of the mouse is a compartment for the single AA battery (not included) and a space to store the USB nano receiver when not in use. 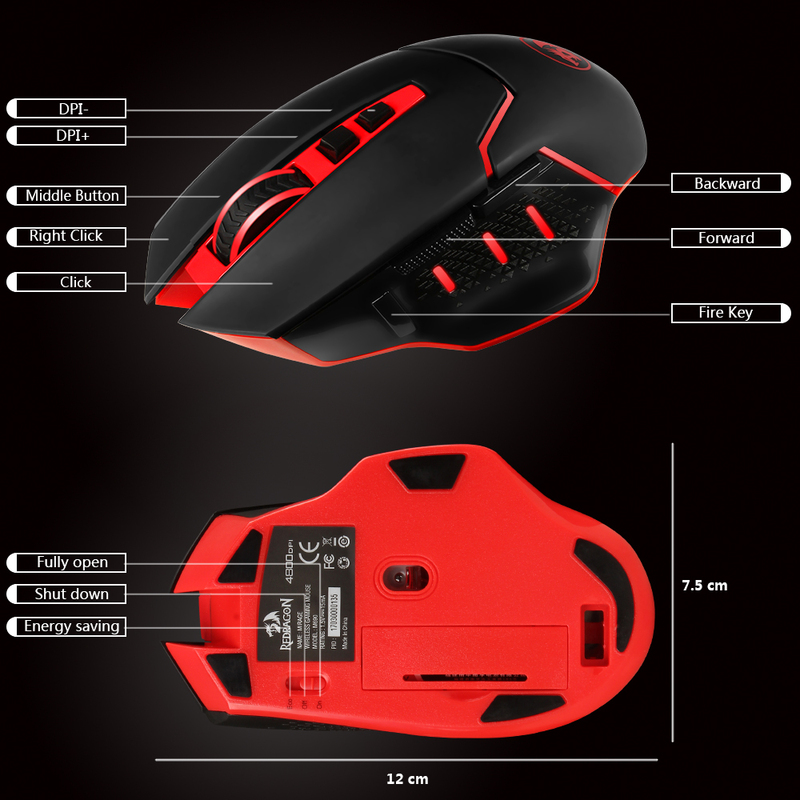 On the bottom of the mouse is a switch with a choice between On, Off, and Eco. The main difference between On and Eco outside of more aggressive power saving (remember to click the left mouse button to wake it up!) is that the former lights up the mouse, while the latter doesn’t. 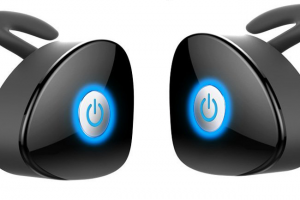 This is actually a nice option, as not all gaming mice let you turn off their lighting. A look at the underside. 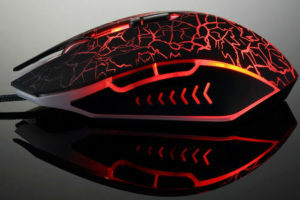 In usage, I found the mouse lightweight and smooth tracking. It slid effortlessly on my Razer Destructor mousepad. It was also quite comfortable, although, as usual for a mouse ergonomically aligned liked this, if you’re a lefty, this is not for you. In terms of features and in testing the mouse on my Windows 10 desktop, it just worked right off the bat after plugging in the USB nano receiver. 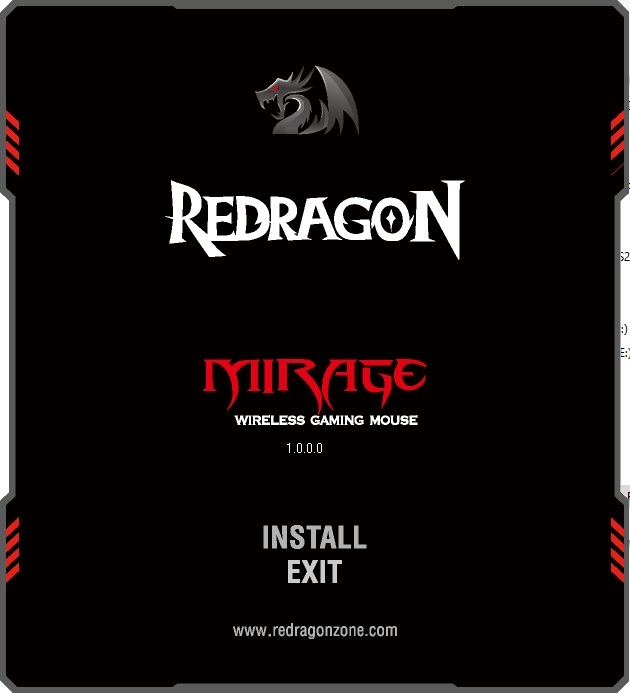 If you want the extra features the mouse supports, you’ll need to install the Windows-based software (Redragon Wireless Gaming Mouse 2645 Setup.exe) from the mini CD. Unfortunately, at this time, there is no other way to get the software, as the support site doesn’t yet seem to offer it. Once installed, all of the features are unlocked. As you can see, with features like that, there’s little-to-nothing that you’d be lacking in choosing this mouse over one of its much higher-priced counterparts. 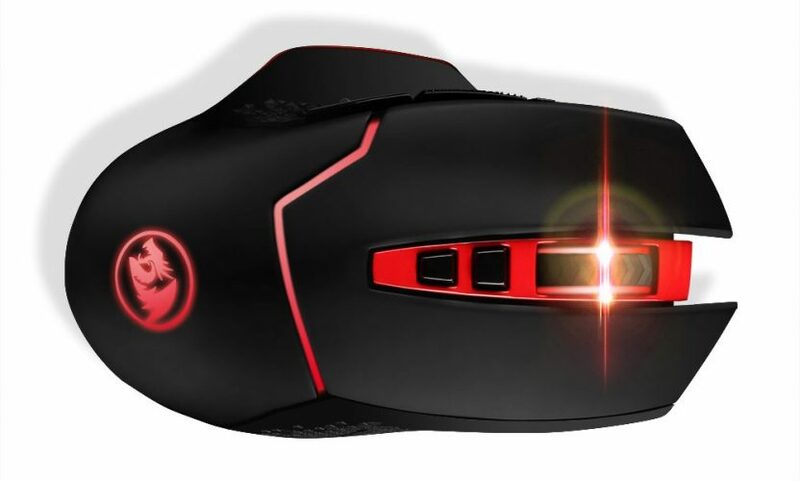 For what this is being offered for on Amazon right now, you really can’t go wrong if you’re a Windows gamer or simply want a high performance, ergonomic mouse. The official diagram of the hardware features. 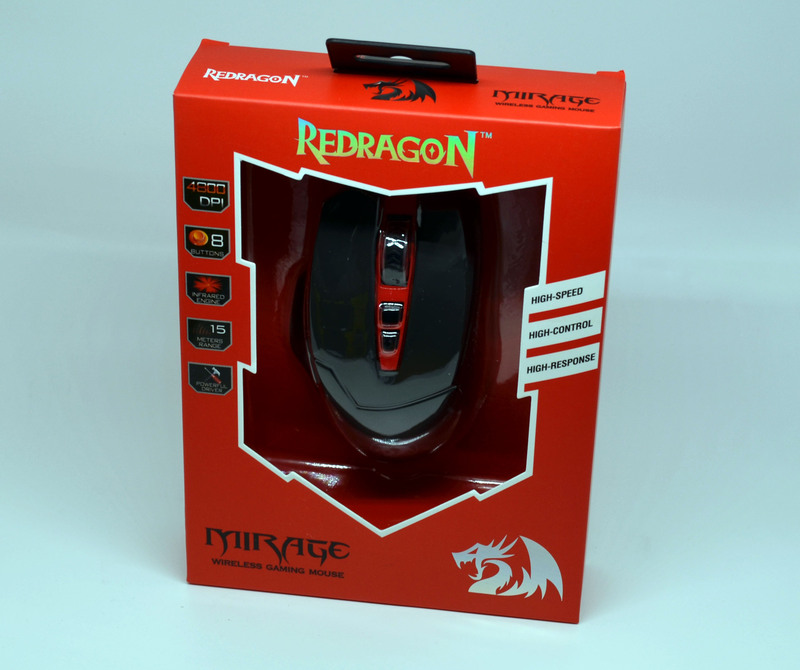 Thanks to Redragon for the review unit. 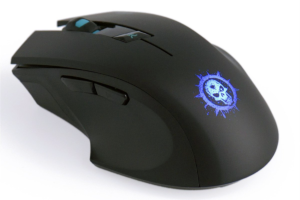 A high performance, low cost mouse that doesn’t disappoint. After looking into a number of the articles on your website, I truly appreciate your way of blogging.